Google has announced they will now favor HTTPS sites higher in their search engine rankings. What’s the S stand for? Secure. That’s Hypertext Transfer Protocol SECURE. Here sensitive data is encrypted over a Secure Socket Layer (SSL) where it cannot be seen by anyone but the recipient. This is a common practice in personal banking online and customer purchasing information with web based retail shopping carts. Incidentally, you should NEVER type in any personal information like your name, age, address, phone, credit card & social security number on a web page that doesn’t start with https. Otherwise your information is not secure and can be seen by others thus increasing the risk of being a victim of identity theft. Search engines function like a skilled cyber librarian. You type in the information you’re looking for at the “reception desk”, the search engine keyword bar, and they retrieve a relevant list of information from their library which is the entire World Wide Web. Websites, and web pages here being analogous to books and specific pages in books. Anyhow, back to Google’s announcement. The giant search engine sauropod that it is: Googlesaurus. It’s latin species nomenclature being Searchenginus Algorithmus Morpheus. It’s the modern day Holy Grail of internet commerce as pertaining to website and page rankings. It’s simple: if you come up on the first page (or better yet, on the TOP half of the first page) of an internet keyword search, you’ll get more hits, views, sales and so on. Search Engine Optimization (SEO) consultants, companies and specialists study this very thing to do the online equivalent of “Stacking the Deck” in your website’s favor. Why does this blue and white tech tiger change it’s stripes like this? Is it because they’re great like Tony the Tiger? Are they becoming the HAL for our times? Google does this because they can. They’re the proverbial 800 pound gorilla that can sit wherever it wants. They’re also a moving target, and you know it’s more difficult to hit a moving target than a stationary one–or in this case, understand them for that matter, their classified magical algorithm for web site rankings performed during a Google search for results you type in from keywords. The Google tiger has also been seen flashing the gang sign colors of Milton Bradley’s Twister and true to form, Google does play Twister. Their own variation being search engine Twister, and when they spin “right foot green”, it’s a good idea to get your web site planted on that spot or moving in that direction ASAP. Normally they just spin and don’t announce where the needle lands giving secret hand signals only to their inner circle. This time they have announced “right foot green” and everybody who isn’t there soon won’t make it to the next round–disqualified in some way via their search engine rankings. What’s interesting about this recent announcement is that they made a change known publicly when they aren’t obligated to do so. They could have kept it a secret like other aspects of their search engine algorithm. One may hypothesize here that they made this public because they want more websites to adopt the https protocol. The 800 pound gorilla is telling you where to sit now. We go deeper down the Google rabbit hole when we realize that not only do you have to hit this moving target, THEY are the target that determines the hits. Put another way, they just threw another curve ball at the all the SEO companies, teams and experts. In the ballpark of the internet, Google is always the home team as well as the Coach that determines the web site lineup and the strategic formula for the batting order. Everyone else can just try to get a crack at that algorithm just so much before it changes once again–and hope their best “at bat” strategy can get a decent hit high enough to “knock it out of the park” in their search engine rankings. Way back in 1919, if you said the word “Google” to somebody, people would chuckle or smile thinking you were referring to the American comic strip “Barney Google and Snuffy Smith.” A few years later in 1923, there was a hit pop song about Barney where the lyrics went “Barney Google with the Goo-Goo Googly Eyes. The word Google has gone from a old pop song lyric to now one of the most widely recognized words and companies on the planet. It’s been a last name, adjective, and with the Google juggernaut continuing its momentum into the new millenium, it’s now even a verb: Google it. Not surprisingly, Barney Google made a reappearance into his own comic strip in 2012. Snuffy Smith “took over” for years as the main character and focus while Barney was an infrequent sideline character. Since the word Google itself has major pull and high keyword currency value these days, that may have had something to do with Barney’s decision to come out of seclusion. His last name is now online royalty, like being knighted by the Queen of Search Engines. The why Google has done this is simple enough to understand. Websites with additional security protocols will be ranked higher in their search engine algorithm. What this means for your website is another matter. What can you do improve your rankings now? We’ll save you a trip to the Oracle of Delphi or a call to 1-900 NOSTRADAMUS to figure this out. The starting point is we know Google now chooses to see sites that have the additional https security measure as more important in their search engine rankings: this criteria alone now has increased search engine currency value according to the International Bank of Google. It’s currency rate has just been changed, the “stock” value on this feature has just gone up. You’re either going to cash in on it now to some degree or have to buy that stock for your web site portfolio if needed in the near future. 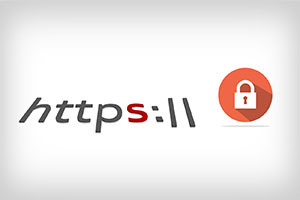 Web sites can acquire the their https status by getting a dedicated IP (Internet Protocol) address and a SSL (Secure Socket Layer) Certificate. We provide both of these options: A dedicated IP address at $2 a month and the SSL Certificate at $50 a month. What the “s” does besides encryption is it validates the site and the company. The SSL Certificate can be viewed by clicking on the lock icon and it will display some information about the site. However, adding SSL to make a site more secure, it does slow down the site loading time.